TV show dates: December 4, 2011 — present. Series status: Has not been cancelled. Performers include: Rosemarie Dewitt, Jesse Plemmons, Cristin Milioti, Jimmi Simpson, Andrea Riseborough, Letitia Wright, Maxine Peake, Brenna Harding, Owen Teague, Michaela Coel, Andrew Gower, Kiran Sonia Sawar, Georgina Campbell, George Blagden, Jake Davies, Clint Dyer, Douglas Hodge, Babs Olusanmokun, Hannah John-Kamen, Beatrice Robertson-Jones, Jada Clarke, and Daniel Westwood. From creator and writer Charlie Brooker, who executive produces with Annabel Jones, the Black Mirror TV show is a satirical, British sci-fi anthology series. The stand-alone episodes delve into post-modern themes related to paranoia of technology. The psychological thriller touches upon humanity’s dependence upon and wariness of the devices which have quickly come to dominate everyday living. In the vein of its forerunners, including The Twilight Zone, Black Mirror is often set in the near future, or an alternate, present-day reality. This episode has not aired yet. What do you think? 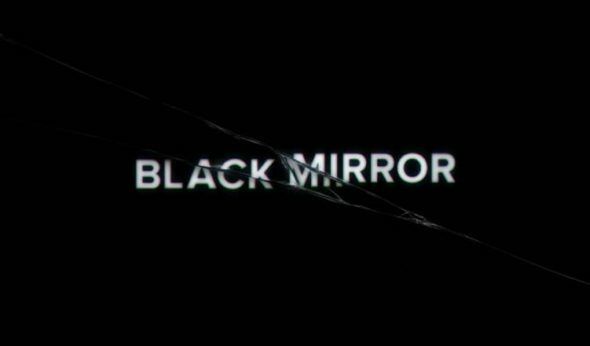 Do you like the Black Mirror TV series? Should this TV show be cancelled or renewed for another season on Netflix? More about: Black Mirror, Black Mirror: canceled or renewed?, Black Mirror: ratings, Netflix TV shows: canceled or renewed? Black Mirror: Is the Netflix TV Series Cancelled or Renewed for Season Five? I couldn’t get past “The National Anthem”. I’ve watched all kinds of TV over the last 60 years, and this was one of the few shows that made the word “indecent” come to mind. The closest thing to the feeling I got was my first viewing of “A Clockwork Orange.” The absolute worst of human nature celebrated. No thanks. It turned my stomach, and if mankind is headed in that direction, I’m glad I’m childless. Most intelligent and disturbing series, that makes you think. Best series around. Renew. Renew. Renew. Brilliant show. Please renew Black Mirror.